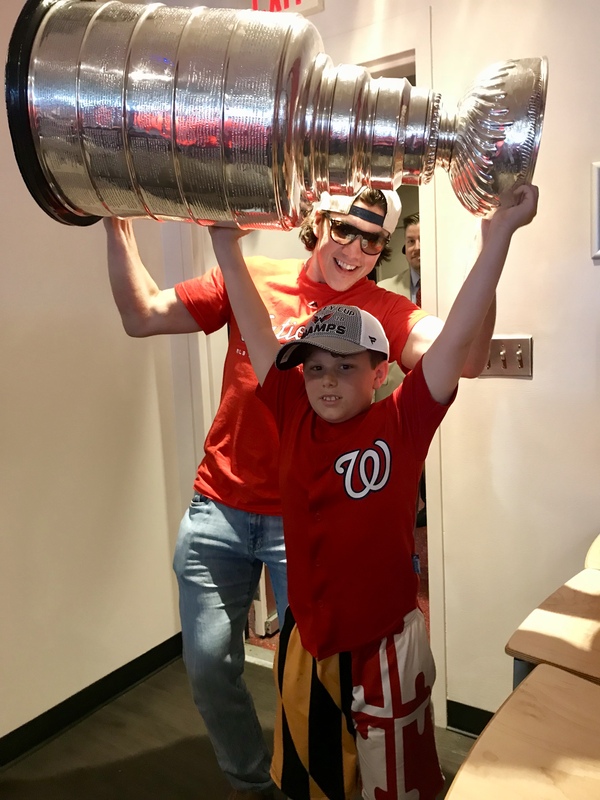 Greg Chernack’s son spends day with Capitals and the Stanley Cup. Firm partner Greg Chernack and his 10-year-old son Andy had a dream experience at Nats Park this week. The Capitals were at the game as part of their first public gathering as a team since winning the Stanley Cup. When Greg and Andy arrived, Andy decided to head over and sit himself next to the team. And from there. . . well, read on.